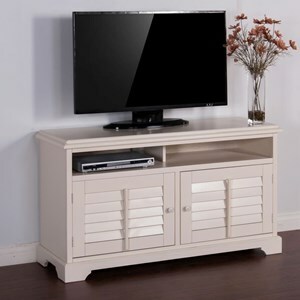 Keep things simple and casual with this TV console. 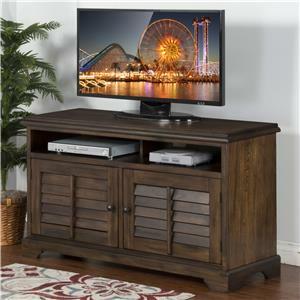 Your home entertainment center may go through many technological changes over the years, but this stylish console will stay the same thanks to the durable, solid wood construction. The two open shelves are perfectly sized for your favorite digital devices, and, the absence of a back allows them to conveniently be organized and plugged in. 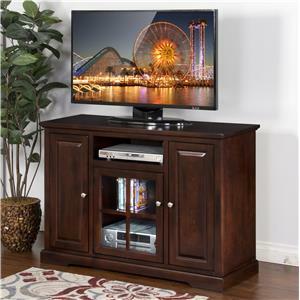 Additionally, the three ample sized drawers below provide extra storage for excess cords, manuals, games, and everything else your perfect entertainment center will need. 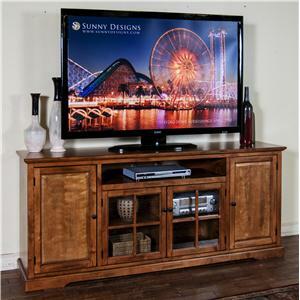 The Coleton Casual 74" TV Console with 3 Drawers by Sunny Designs at Sadler's Home Furnishings in the Anchorage, Fairbanks, Sterling, Alaska area. Product availability may vary. Contact us for the most current availability on this product. 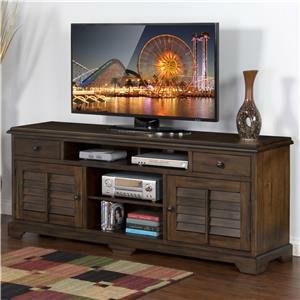 Let the simple styles of this casual collection enrich your living room. The antique natural finish never looks out of place and always complements surrounding fixtures. Additionally, the open shelving is great for storage and displays. 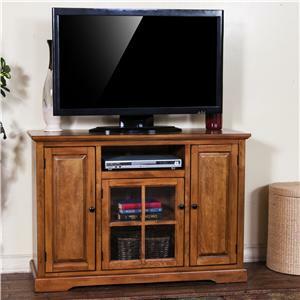 With a durable solid wood construction, these pieces will keep things casual throughout the years. 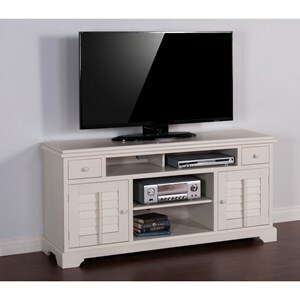 The Coleton collection is a great option if you are looking for Transitional Casual furniture in the Anchorage, Fairbanks, Sterling, Alaska area. 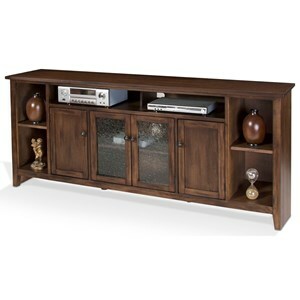 Browse other items in the Coleton collection from Sadler's Home Furnishings in the Anchorage, Fairbanks, Sterling, Alaska area.